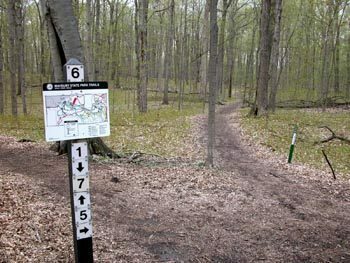 Until 2003, Maybury was the only state park in Wayne County and still the only one with a trail system. A look at its park map clearly shows how Michigan’s most crowded corner is desperate for places to hike, ride and skate. In short, Maybury looks like a plate of spaghetti. Almost every square inch of the unit near Northville has been used to develop hiking trails, a paved bike path, a mountain bike system, equestrian trails, even a history trail. On any given day park users range from power walkers with hand weights to mothers with strollers and iron-butted off-trail cyclists bikers. Maybury was the site of a former sanitarium and a working farm when the Michigan Department of Natural Resources turned it into a 965-acre state park in 1975. The buildings of the sanitarium were removed but the farm was retained so that urban families who have never experienced the sights, sounds and, yes, smells of a working farm would have the opportunity to do so nearby. Park officials also wanted to place a special emphasis on encouraging visitors to leave their cars and wander through the rolling terrain of forests and open meadows. That’s why many of the park's facilities, from picnic areas and shelters to a tot lot and fishing piers can only be reached along a network of foot trails, bicycle paths or bridle trails. While in some state parks the bulk of visitors are beach goers or campers, in Maybury it is clearly trail users. The various trail systems may look crowded on a map but they are well laid out and marked. 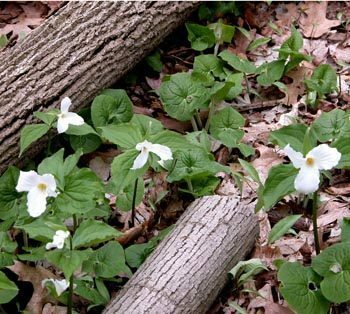 While you may occasionally see an equestrian or inline skater during a hike, you will also be able to sneak off into a quiet patch of woods where there is nothing around you but what Mother Nature intended. In Michigan’s most crowded county, that’s priceless. 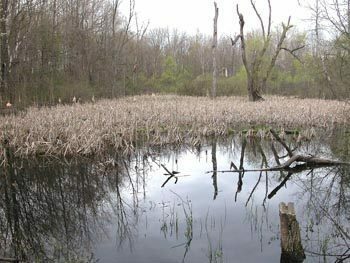 The Maybury Hiking Trail is basically a 4-mile loop with the most popular outing being a 3-mile trek from the Walnut Picnic Shelter off Eight Mile Road that includes skirting the Pond. Most of the hike remains in a mature maple and beech forests a the return includes backtracking only two segments. For inline skaters and others with wheels Maybury maintains 4 miles of paved paths that begin from the rental concession near the parking lot and loop south, while another segment heads east to the fishing pond and then ends in the southeast corner of the park. Situated along the paths are picnic tables, three rain shelters, toilets and two picnic shelters that can be rented out by groups. 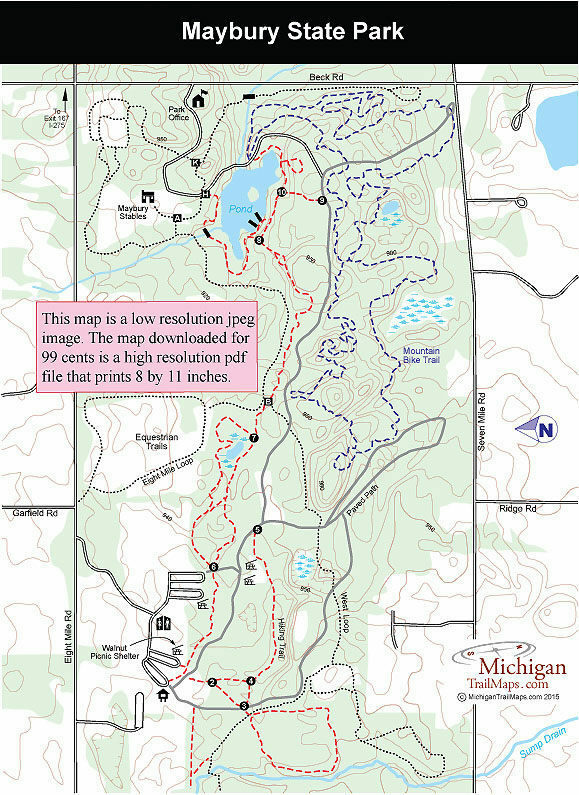 Maybury also has a 6.7-mile, single track loop that was built and is maintained by the Metro South Chapter of the Michigan Mountain Biking Association (http://metrosouth.mmba.org). The trail system winds through a mix of woods and open fields and over numerous small hills. The loop does have several technical segments but generally is considered a intermediate trail. Bikers can park near the Hickory Picnic Shelter and follow the paved path a half mile to the main trailhead for the mountain bike system. During the winter the park grooms and tracks 15 kilometers of ski trails combining the foot trails, bicycle paths and a portion of the bridle trails. And finally 11 miles of bridle paths as well as a staging area for equestrians are located at the end of the access road just beyond the park headquarters off Beck Road. Near the staging area is Maybury Riding Stable (www.mayburyridingstable.com), which offers horseback riding for both novice and experienced riders as well as hayrides. For more information contact Maybury State Park (248-349-8390), Northville Community Foundation (248-374-0200) or Maybury Stables (248-347-1088). There’s also Friends of Maybury State Park who provide support to park operations and stage special events throughout the year, including organized hikes and nature programs for children.